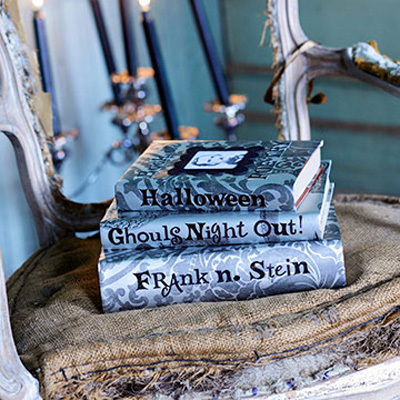 With Halloween less than a week away, I've pulled together several quick and easy decorating ideas to get your home looking festive! 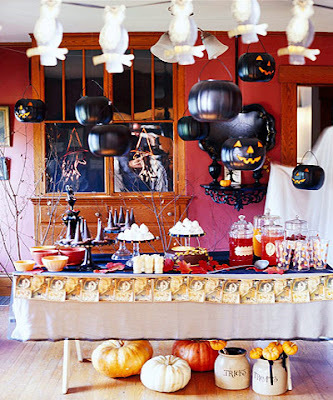 Whether you're hosting a party or passing out candy to the kids, there are endless ways to get your home Halloween-ready without spending an arm and a leg on decorations. Are you dressing up this year? If so, please share! I'm still not sure what I'll be...we're going to a party on Saturday night so I better figure it out! 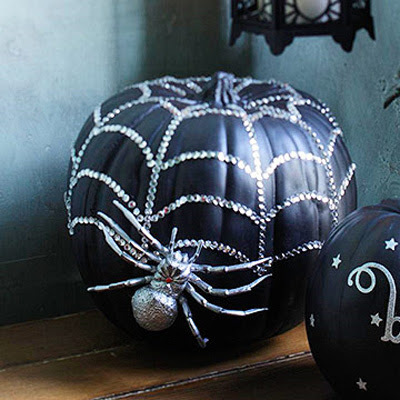 Add a little "bling" to your pumpkins with rhinestones (sequins would looks great too!). Click here for instructions. Wrap candle holders with pre-made letter templates - easy & inexpensive! Clockwise from top left: Wicked fashionista! Place foam balls inside a pair of black boots and fill with dried wheat & foliage! 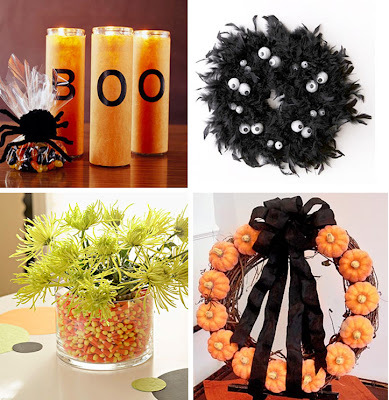 Place a vase full of flowers inside a carved jack-o-lantern instead of candles. Embellish you pumpkin by tying ribbon and adding florists picks around the stem; display on a cake stand. 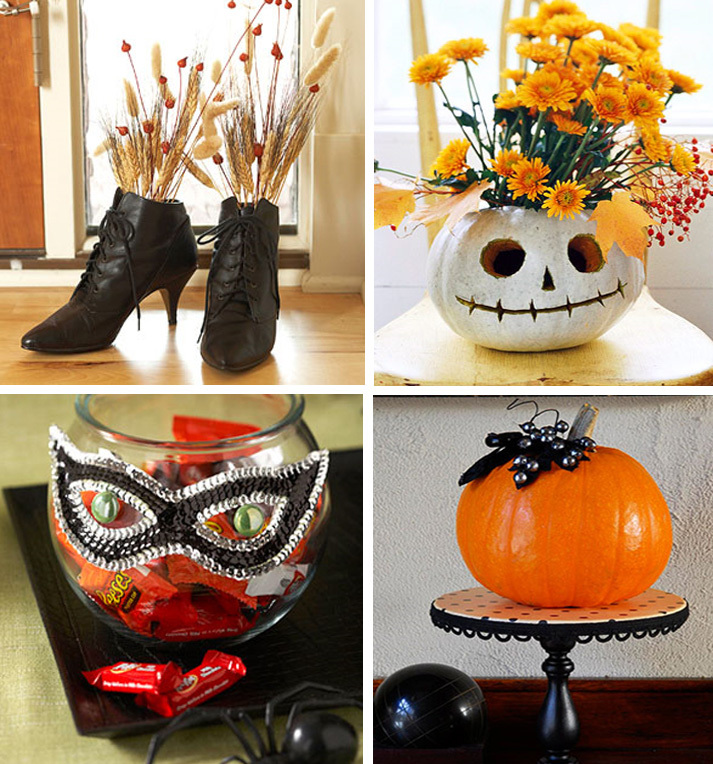 Attach a sequined mask to the candy bowl to keep a watchful eye. Cover books in gift wrap and embellish with stickers, stencils, etc. 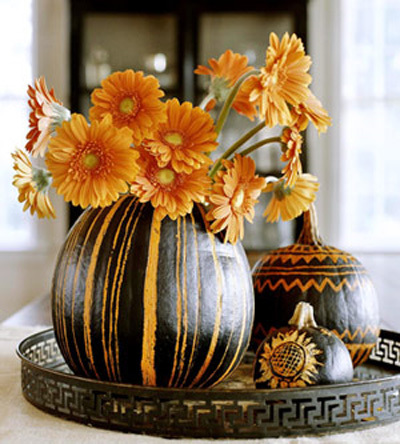 Painted pumpkins arranged on a tray...tres chic! Pumpkin-on-a-stick party favors or decorations. 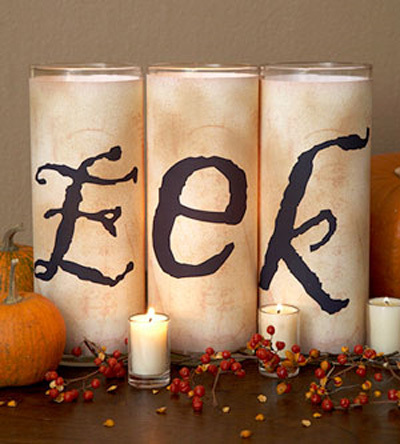 Clockwise from top left: Wrap colored tissue paper around candleholders & add a vinyl letter. DIY feather boa & eyeball wreath! Mini Pumpkin wreath. Candy-corn filled vase with mums. 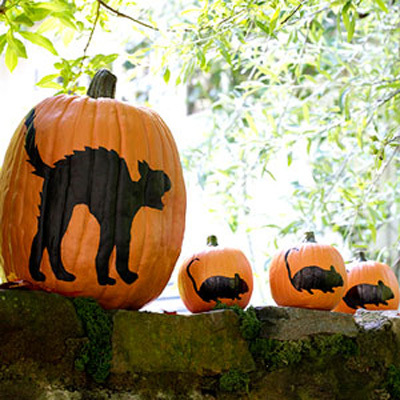 Forget the mess of carving pumpkins and paint a fun design! (Although, I do enjoy getting messy and carving pumpkins...and I like baking the seeds to munch on!). Looking at all these amazing ideas makes me wish Halloween was a bigger deal in Europe so it would actually make sense to go all out on the decorations! Great inspirations!! bejeweled pumpkins are all the rage this year!! I'm seeing them everywhere and I wish I had seen them sooner or I would have done one myself!! Those wrapped candles are great too! Thanks for sharing!! 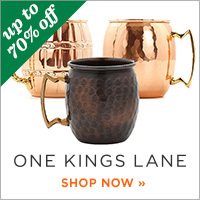 I am DYING to bedazzle a pumpkin! Such a fun post. Thanks for the cheapie ideas. I've not done any decorating because I just can't justify dropping so much cash on decorations that I have to lug to the attic in a week. How do you toast pumpkin seeds?? i decorated pumpkins this past weekend... and i have to say that the rhinestone pumpkin isn't as easy as it looks... involved quite a few hot glue gun burns oh well it still looks cute! 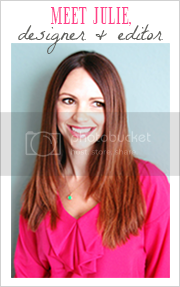 * GR888 blog today, Jules! I forwarded it on to our two grown nieces, who have youngins' & may want to try some of these super ideas! 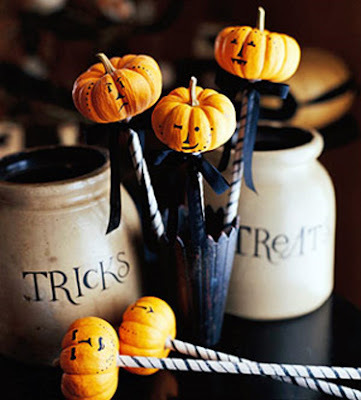 What wonderful Halloween ideas...great images!! 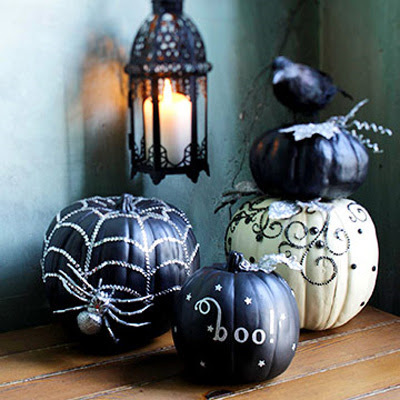 ooooooooo...... i love the rhinestones pumpkins! what a great idea. cute, i love the rhinestone pumpkin!